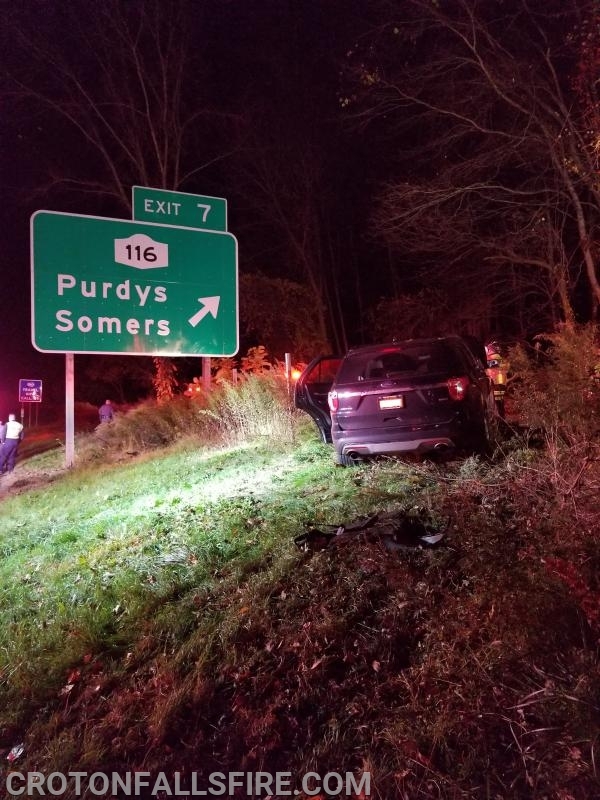 A one-car accident in the early morning hours of Sunday, November 4th presented firefighters with a familiar scene in Purdys. 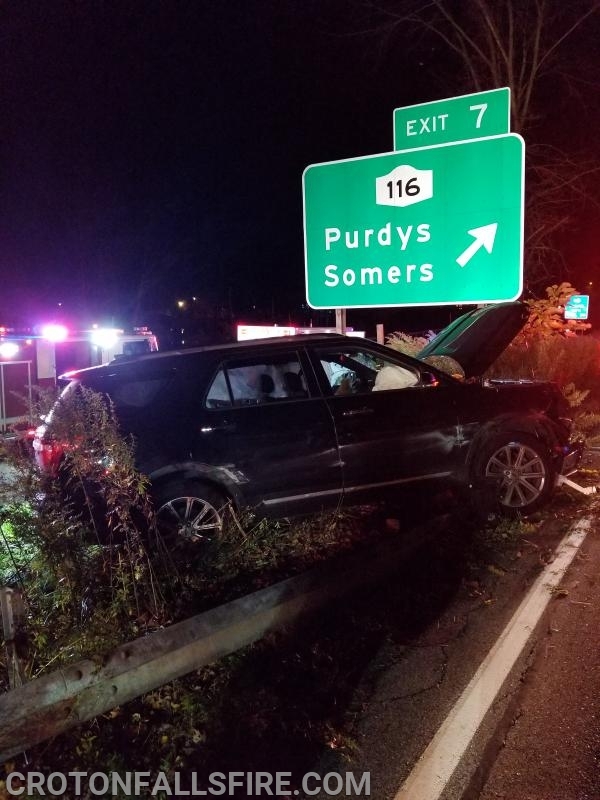 The driver of an SUV heading northbound on Interstate 684 lost control and launched his vehicle up an embankment after careening off guardrails on both sides of the interstate. 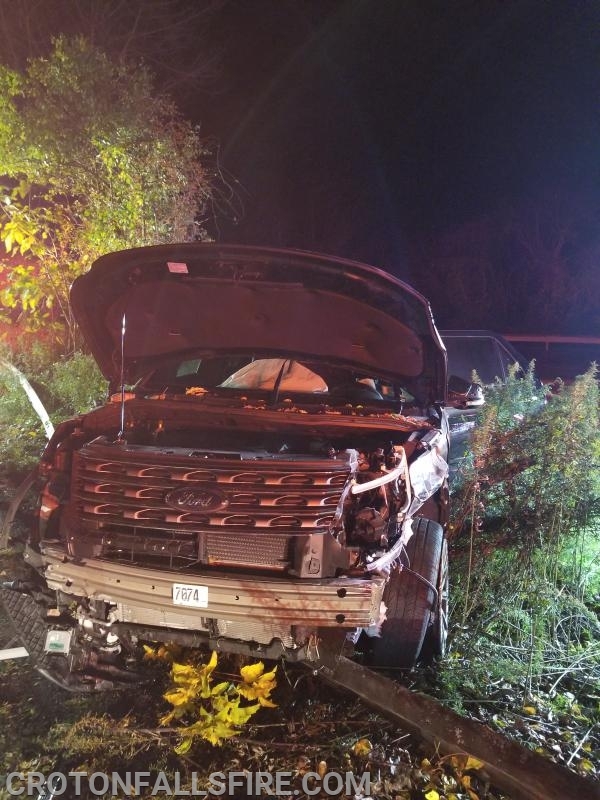 The vehicle came to rest on the guardrail of Route 22, but stopped just short of entering the roadway as firefighters have seen with previous accidents in this area. Three patients, two adults and one child, were treated and transported to a hospital by North Salem Volunteer Ambulance Corps and Westchester EMS. Troopers from the New York State Police are investigating the circumstances that led to the accident. 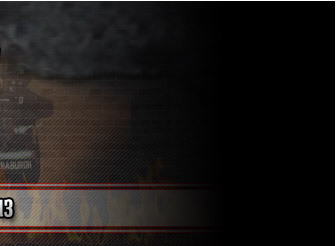 Firefighters remained on location while Bryson's Towing removed the vehicle from the guard rail.